Jesus said, "Let the little children come unto me." The BCC KIDZ ministry focuses on our children from age two until 11 years old (or through 5th Grade). Our children and leaders fellowship together, learn together, and grow together. Each activity and meeting strengthens the relationship with God as we all seek to mature and grow in God’s love and strength. 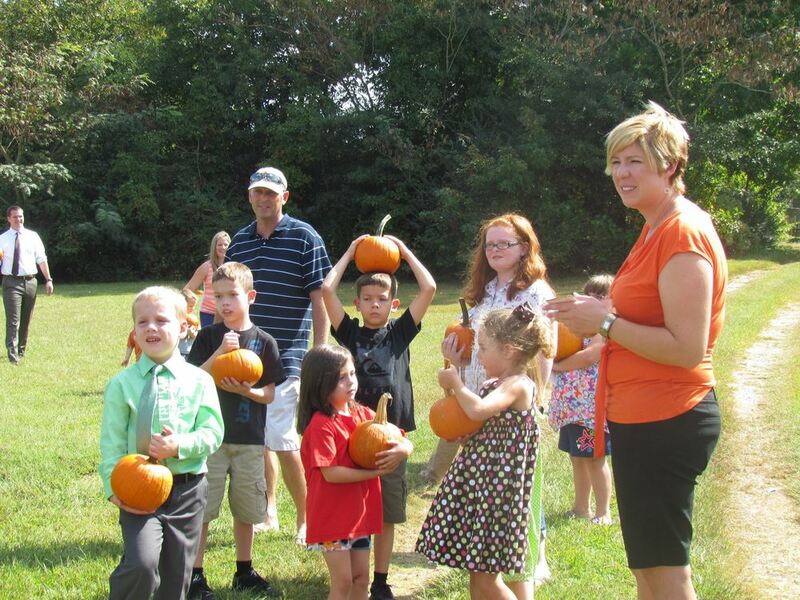 The KIDZ ministry relies on many volunteers who pour out their love on our children. Parents and caregivers are welcome to stay and attend all activities/events. BCC wants to help each family however it can, so if there is a way we can assist you, please don't hesitate to ask. 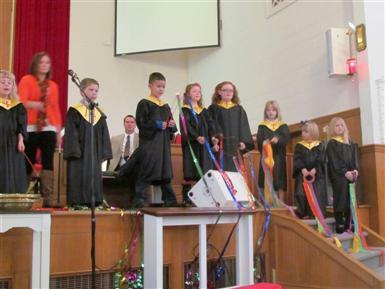 Acolytes--Our elementary school children serve as acolytes for worship. The older children (4-5 Graders) process in with candle lighters and light the altar candles at the beginning of the worship service. The younger children (1-3 Graders) follow carrying a Bible to lay on the altar. The students love being a part of the worship service, and they bring an energy and enthusiasm to worship. 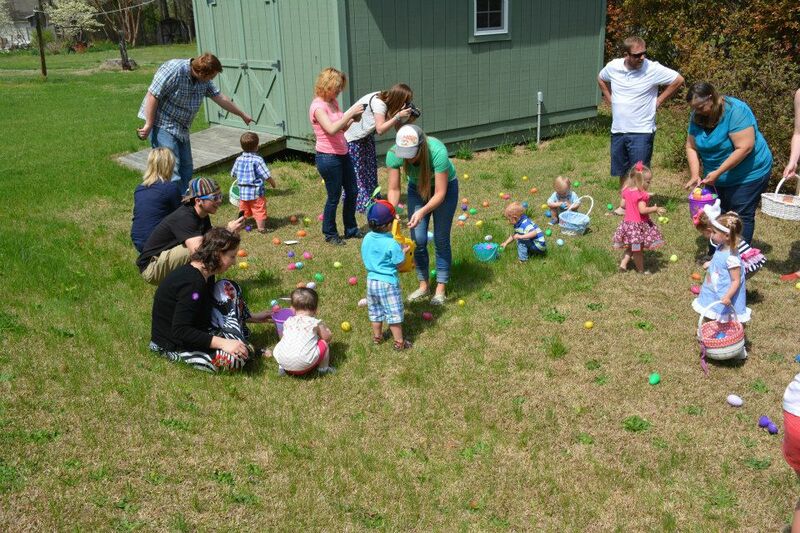 Nursery--the nursery is available during Sunday School and worship for children ages birth through two years old. We'd love you to see our nursery! For more information about our nursery, visit our Nursery Page. Children's Message--All children (ages 3-10) are welcome to come forward during the dedicated Children's Message time each worship. The Pastor or one of the adult volunteers lead the children in a brief bible story time. At the conclusion of the Children's Message, the children are invited to go to the back with the adult volunteers for a dedicated children's worship segment. Of course, the children are also welcome to return and sit with their families. Children's Worship--Each Sunday, the children (age 3-Second Grade) are invited to a Children's Worship time. The adult volunteers lead the children through interactive stages of Bible story, music, kinetic activities, and varying application activities. The desire is to teach the Bible and engage all the children's senses! Parents may pick the children up at the conclusion of the Worship Service in the Old Fellowship Hall. Children's Choir/Creative Movement--About five or six Sundays per year, our pre-school and elementary aged children lead segments of worship. They glorify God with their songs of praise and actions of worship. The children's choir practices during the Children's Worship during the first Sunday of each month. All children are invited to be a part of the children's choir. Children's Dramas--About five or six Sundays per year, our elementary aged children lead segments of worship through drama. Most of the dramas are co-written by the Sunday School teachers and students, so they are thoroughly original! All children are invited to be a part of the dramas but the focus of the Children's Drama is on the 3rd through 5th grade. The Children's Drama team currently meets during the 11:00 worship hour. To see more about the Drama Ministry, click here. For a list of our upcoming events, click here.